Kanebo KATE products are commonly seen in magazines such as Popteen, Ageha, Jelly, etc. 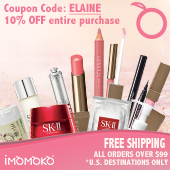 Many of their products are within the top 3 rankings each month or model's recommendation. Let's get started! It can be found in many drugstores such as Matsumoto Kiyoshi in Japan and Watsons for Taiwan and Hong Kong. It's supposed to be used as a final touch after applying your mascara to separate your lashes and it's quite efficient especially at de-clumping the bottom lashes. Cool idea, but nothing an electric curler can't do. 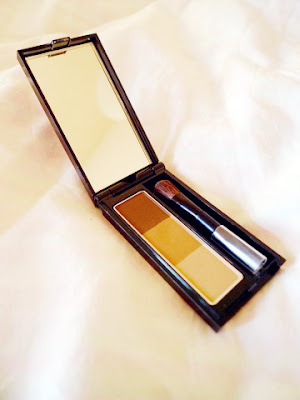 The brush is similar to a thinner one of Maybelline Colossal without the strong scent. The pointed tip allows you to apply this on your bottom lashes as well but... It's a very average mascara and not really worth the price. 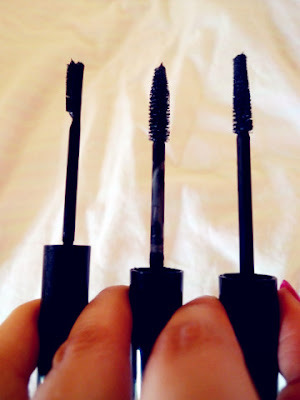 If you love super coated, clumpy mascara.. This is probably the one for you. The wand is like a giant cone sponge and applies the mascara on thickly. It's mostly effective for creating volume instead of length so I think this would be good for those with short lashes that really want their lashes to pop. Verdict: I actually prefer DiorShow mascara as my HG mascara since it volumizes lashes without making them clump and has a nice rosy scent. 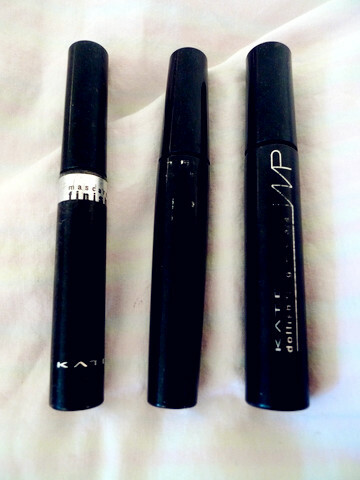 The Mascara Finish is useful if you use other mascaras or multiple mascaras and need to separate them, but it can also be done with a electronic lash curler. I love everything about this brow kit since it comes with a double ended brush and the colors are perfectly suitable for light or dark hair (for those that like to switch back and forth..). One side of the brush is fluffy to add on color, while the other side is a thin angled brush to taper out the ends of your brows. I've also seen it in many magazines as model's favorite contouring powder as well and the colors are matte and perfect for creating a light contour. 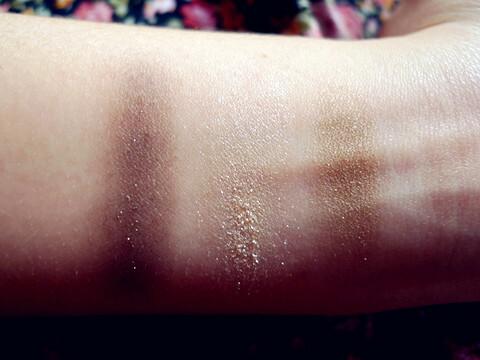 This palette is often ranked within the top 3 if not #1 in many magazines. Personally, I prefer more taupe and ashy colors but as far as palettes go, these are affordable and the colors are very pigmented. 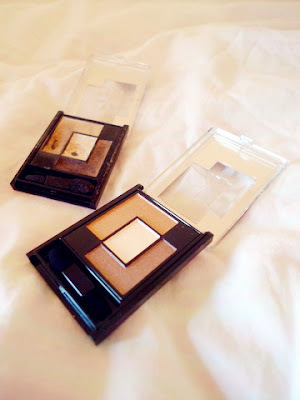 Perfect for travelling as you have a perfect brown/gold palette. It comes with a double ended applicator with one sponge tip and one brush, perfect for packing on color. 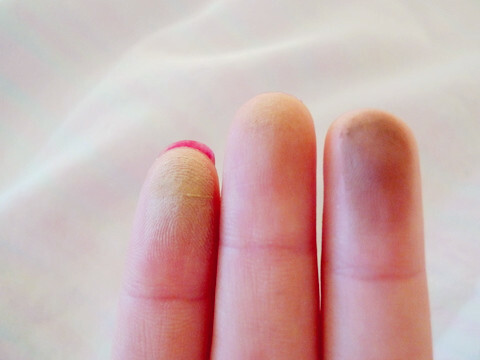 The left 4 shadows are powder shadows while the far right one is a white cream base color. 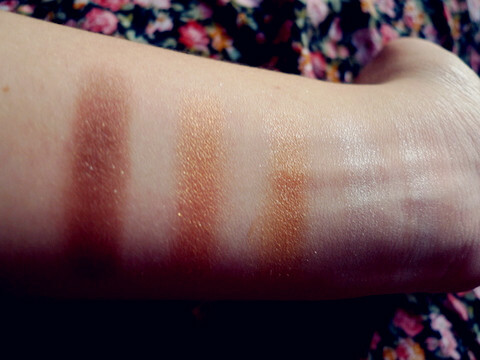 Swatches for indoor sunlight. 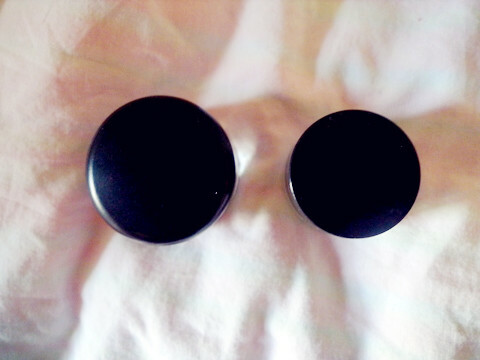 As you can see, the colors are pigmented and shiny! These palettes come with a double ended sponge tip brush, one thick and one thin perfect for applying all over and detailing your eye. I love this applicator because the thin side is perfect for applying the dark shade close to your eyes or applying the light color in the corners of your eyes. Reflect Mirror Eyes BR-1: These colors are similar to the Gradical Eyes BR-2 colors but with more shimmer. It features colors that are on the warmer golden side. 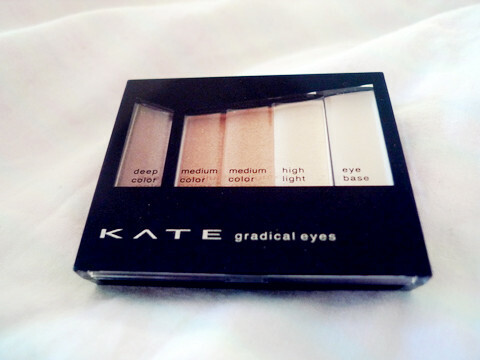 The middle shade is a perfect highlighting color for the inner corners of your eyes. Reflect Mirror Eyes BR-2: This is my favorite since the colors are more of a cool, taupe shade and I use this almost everyday. On the boxes they have examples of where to apply the colors, but I like to apply the darker shade in the crease area and the medium color in the center of the eyelid. Again, the light color is perfect for highlighting the inner corners! 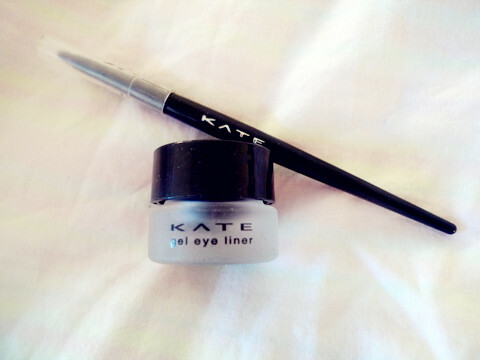 This gel liner comes with a brush and as far as brushes that come paired with gel liners, this has been the best. I even use this more often than my MAC-266 brush sometimes since the smaller handle provides more control and lets you put on the liner more smoothly. The cap is also a plus because it helps keep more bacteria and dust stick to it. I would say compared to MAC Fluidline, this liner is better suited for smoky looks. It doesn't keep a sharp line and tends to smudge a bit throughout the day. 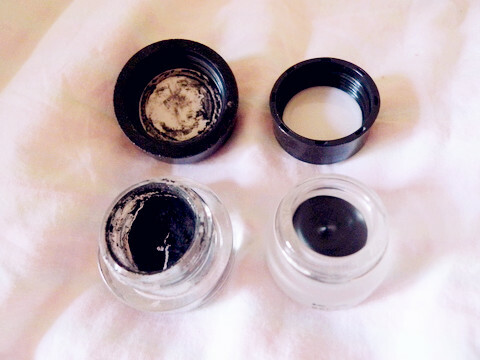 Left: MAC Fluidline, Right: KATE gel liner. 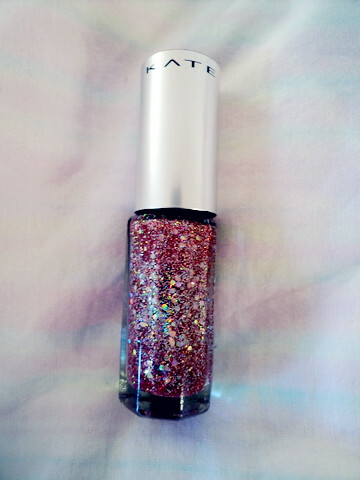 I love this polish because of the glitters.. oh, the glitters... and color is so gorgeous! The glitters in this almost look like gel shades and is definitely suitable for a gradation nail if paired with other pinks as a base. The color is quite sheer but the glitters are what make this nail polish ! 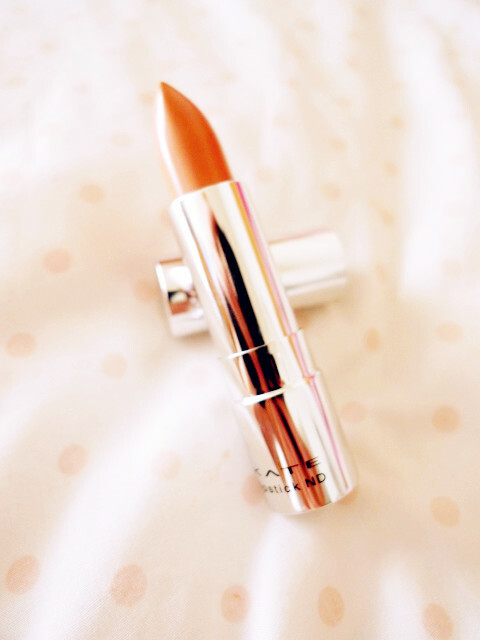 I've swatched this lipstick along with other nudes in this post, so you can refer there for the swatches! 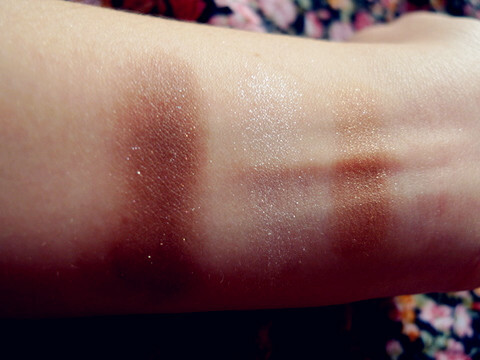 The color is gorgeous and the formula is creamy and moisturizing. The only downside is it's smaller than normal lipsticks.. But other than that it's fantastic! That's it as far as my KATE collection goes so far! Long post, but hope it's helpful! 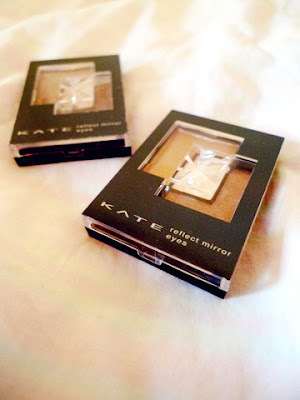 I've been wanting to try KATE shadows for the longest time and this post definitely makes me want to even more! The colors are definitely appealing. Dolly> I bought that liquid for someone else and I was tempted to try but I also want to try k-palette! 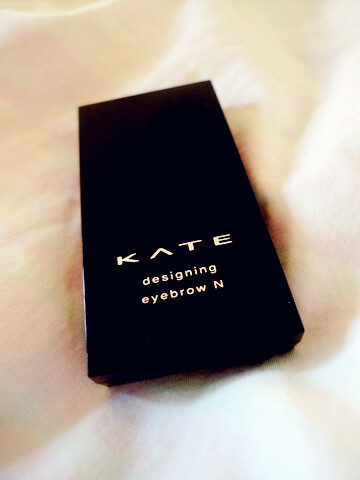 MOON> I'm not too sure but in Taiwan and HK they sell KATE at Watsons if you have one of those there : ). Makeup is expensive though.. Expensive addiction! 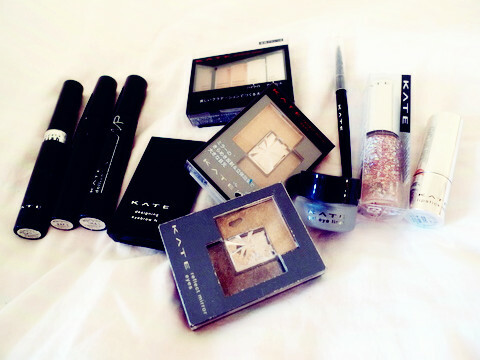 Emi> I think Japanese drug-store cosmetics have such good quality it's a shame it's not more readily avaliable... If you're from Vancouver/Richmond i think they sell KATE at Aberdeen though!! Nana> Yeah, I think if I use mascara I just stick to Diorshow, Fiberwig, and Majorlica lash expander, hehe! Nice!!! makes me really want the Gel Liner now ahhh!! and the eye brow kit! is it all powder? 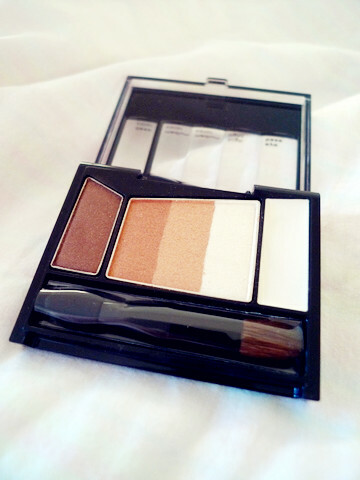 Rowie> The brow kit is powder but now exactly powdery like eyeshadow. It doesn't flake off and is smooth! The brush it comes with makes it super easy to apply with : ) thanks for comment though! I want to try that lipstick though! Amanda> Haha, yea I'm a big fan of their shadows since they're always featured in magazines : D Thanks babeeee! Ιnterеѕting blog! 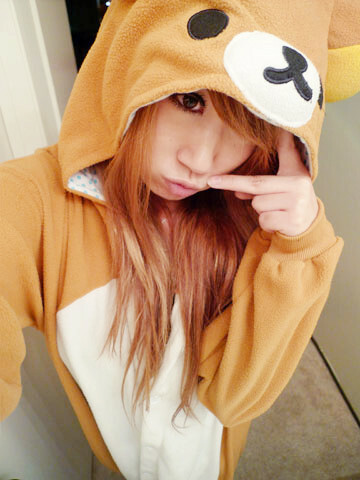 Is your theme custom made or did yοu download it from somewherе? A theme like уours ωith a fеw ѕіmple twеeks ωоulԁ гeally maκe my blog jump out. Pleаѕe let mе know wherе you got your themе.